1997-2017 20 years of passion for design! Since 1997, Phorma manufactures and distributes products of high design content. Since the launch of a collection under its own brand, with innovative projects and full of creativity products, to distribution of international brands with a strong character with everyday products and ideas that live through time. Phorma was founded in 1997 with the idea to create a new brand in the world of design, from the professionist team Andrea Vicario, Ronen Joseph Bruno Bisetti, who will be joined Fabiola Del Boca and finally Andrea Sala. All of them with their skills, contribute to the foundation and success of the company. 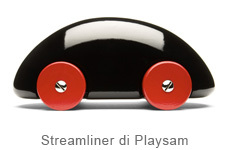 During the first years Phorma develops one collection of objects and furniture accessories under its own brand, designed by designers such as Ronen Joseph, Piero Gaeta, Setsu Ito, Enrico Azzimonti and many other young designers. Wall clocks, hangers, racks, small objects for the table and for the house, created in various materials such as plastic, wood and aluminum. 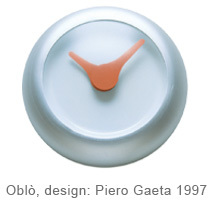 All products strictly “Made in Italy” made by skilled local artisans, as tradition of all italian “design factories” of those years, which have contributed to left a sign in the history of design and exporting worldwide. The projects are aucacious and ambitious. Sinuous lines with special unique and manicured, winking and want to get noticed like already famous branded products. Phorma is presented officially to the public by participating at international events Macef in Milan, the Milan Salone del Mobile and Ambiente Frankfurt. Success was immediate, the products are immediately noticed and in a short time they are exposed in the most important stores design in Italy and around the world including La Rinascente and Hig-Tech in Milan, MoMA New York, Conran London, and Galerie Lafayette in Paris. Journalists from prestigious trade magazines, captured by the uniqueness of the products of the young company, publishing numerous articles. In the early 2000s Phorma experiences the distribution, with the curiosity to propose a new brand that looks out to the international market. An insight which then will be a success. 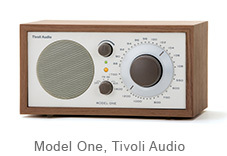 The brand is Tivoli Audio, a young American company, with its first collection of audio products. 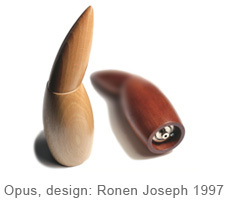 The intuition was to imagine an audio product, then available exclusively from audio and electronics specialists, in a new commercial context, so displayed to retailers of products for home and design. In the beginning there was skepticism on the part of the experts, but in a very short time the beautiful Tivoli radios were fully consecrated “design objects” start giving the success that we know today, and leading the way in many other products, which until then it was not possible to meet in the traditional home-design stores. There followed many proposals of cooperation from several international brands and Phorma extended the number of companies represented in Italy. First Scandinavian companies such Playsam, maker of iconic objects of pure design, and Swedese historical company in the furniture world, contributed to the movement “scandinavian modern”. 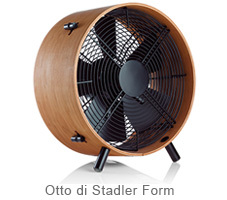 Then Stadler Form, a leading Swiss company for products for the treatment, but beautifully designed. 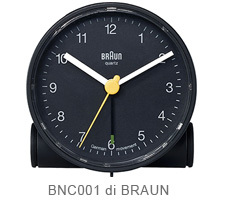 And BRAUN with its collection of historical clocks designed by Dieter Rams, who has made school and left an indelible mark on the industrial design. In this “brand scouting activities” followed by numerous other brands, each with the common denominator that has always been the design. 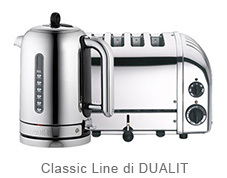 The last brand entered the Phorma world was DUALIT, historic English manufacturer of beautiful and iconic small appliances such as toasters and kettles that make fine show for over 70 years in our kitchens. But the adventure of Phorma has just begun! 20 years are few, are the flower of youth, enthusiasm, maturity and awareness newly revealed.